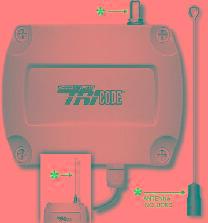 Liftmaster Chamberlain TCG-1 Tri-Code Receiver 1 Channel Gate. turn screws for quick and easy programming. Includes Receiver, Antenna, Wire and Instructions.